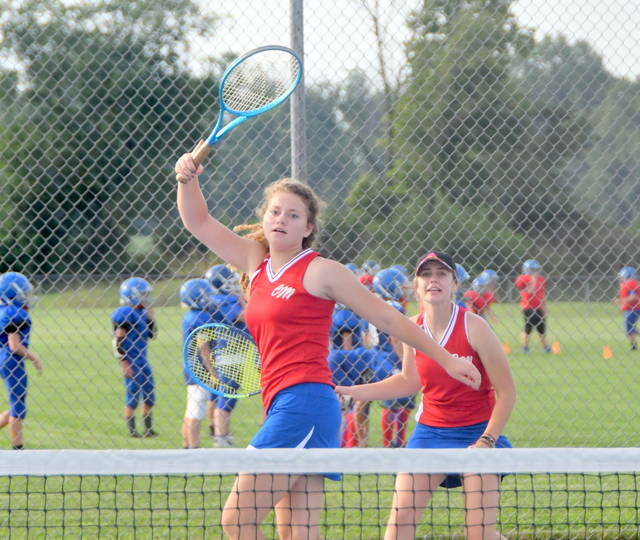 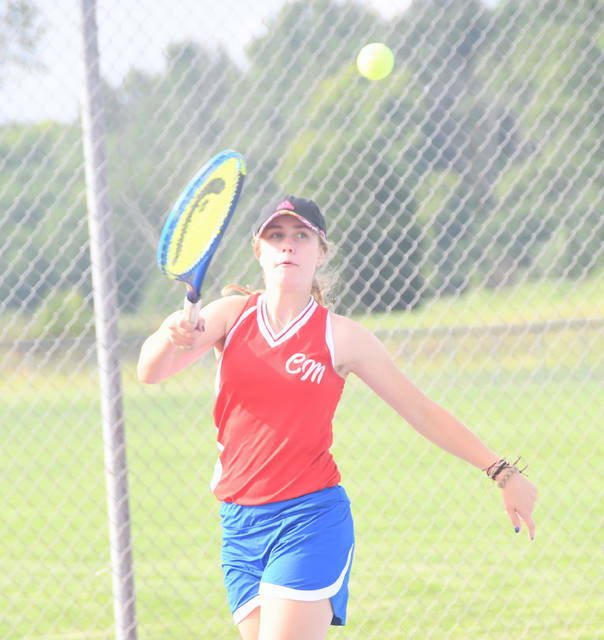 ADAMS TOWNSHIP – It was worth the wait Monday for the Clinton-Massie girls tennis team. 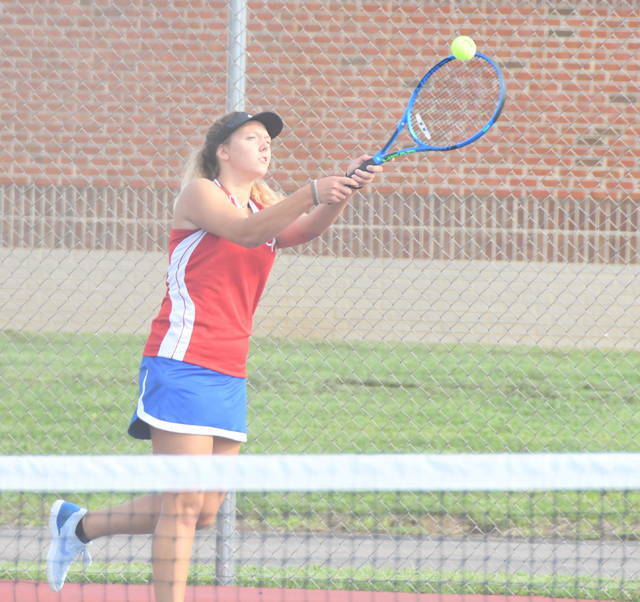 After more than an hour delay, the Lady Falcons clawed Miami Trace 4-1 in a non-league match on the damp CM courts. 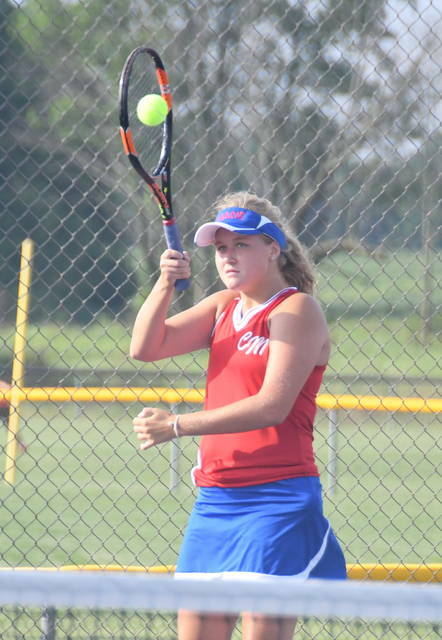 The Lady Falcons improve to 2-1 on the season with the Lady Panthers dropping to 1-1. 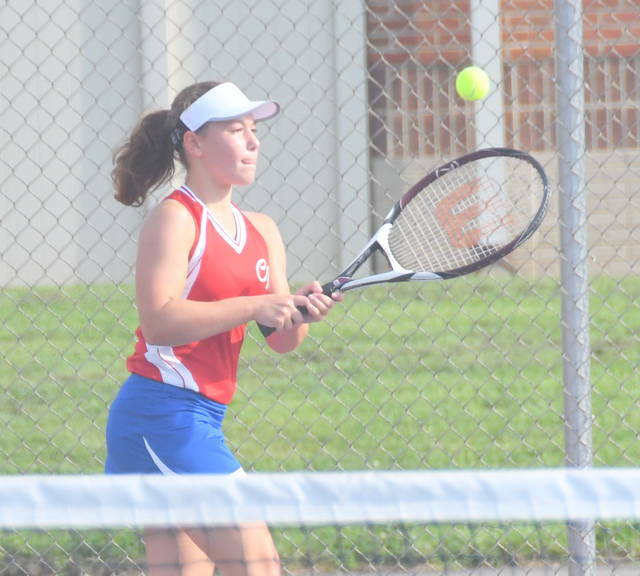 Hailey Clayborn was a 6-1, 6-0 winner at first singles and is unbeaten on the year.